Once you have the tips down pat from our first blog about taking pictures of your child care center, you may want to consider trying some of these. Don’t worry if you have to take a ton of pictures at different settings to get one you like. As long as you are not still using film, it should be relatively low-cost. If you get one winner for every thirty, you are doing pretty well. Crop: Less is more – Have someone’s elbow or people you don’t want in the photo, then crop them out. 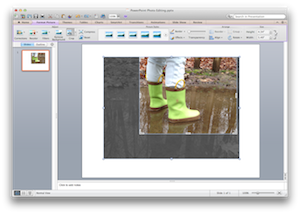 Cropping – If you don’t have a better way, use PowerPoint to crop files. Then, right click to save the photo, not the presentation, to a new location. This does not mean you have to be a photoshop expert. Use PowerPoint, or even Flikr. Just about every photo uploader has a way to crop photos. Flash Outdoors – When sunlight is intense, it can cast strong shadows. Get within 4-5 feet, and take a picture with the flash on. It’s often called ‘fill flash‘. You can force this on a lot of cameras by clicking on the lightning bolt symbol until it is forced on no matter what. Over-expose portraits to hide blemishes – Over exposing portraits of people softens wrinkles. (I do not want to speak for young and fabulous looking childcare directors and teachers out there, but this old-guy will take a little wrinkle reduction any way I can get it.) To change the exposure, you will normally have to use your camera’s manual mode. Dial the exposure up so that things get whiter. Usually about one step above where the auto or normal mode would set it. Most pictures and movies filmed outside, are either early in the morning or before sundown. That warm, soft, side light just makes photos more attractive. It’s called “The Golden Hour” is so well-used by photographers. It’s like natural photoshop for people, whatever age group. Maintain focus – To lock the focus, center the subject, push the shutter button halfway down and then move the subject off-center. For camera phones, like the iPhone, touch what you want to focus on. Use Smart Filenames – Google and other search engines use image file names to rank your site. Before posting your pictures to the web, rename the file from IMG_00815812.JPG to something relevant to the picture contents. If your childcare is “Tiny Explorer Care” and you take a picture of your playground, perhaps title your photos ‘tiny-explorer-child-care-playground.jpg’. Use a soft focus – That cool blurred background you see in a lot of photos is difficult to acheive with most inexpensive cameras. Even still, a lot of cameras have a ‘macro mode’. In macro mode, get close to the subject and snap the picture. This will help put the focus on your subject. Negotiate the portraits from your photographer– I have seen that some child care centers offer portraits to families and invite professional photographers in to take them. Consider having the photographer take some shots of your facility as part of the deal. Use professional examples– Use examples on Shutterstock or 123rf.com to get ideas on what poses and backgrounds make good photos of childcare and preschools. Then reproduce those (or buy them) in your own center with your staff and children. Be a Director – You may be a child care director, why not also be a photo director? Tell people to move together, lean in, get cheek to check, put hands on their smile, sit pretzel style, or even be silly. It will be fun and your pictures will standout. Children, seemingly, are natural touch screen device users. Child Care directors and administrators are getting into the game too using iPads increasingly for administrative functions. While early childhood educators are still working out the best ways to integrate touch screen devices with their curriculum, there is no debate that tablets like the iPad are making inroads into the administrators’ and directors’ offices. We have two BumbleBee customers who are now using iPads in their childcare centers. The good news is BumbleBee child care management software looks great on the iPad. Now that we have an iPad to test with, it will be easier for us to support child care directors who use the iPad as one of their primary devices in the office. One of the benefits of being a modern, web-based software is that BumbleBee will run on just about any device with a browser. The browsers on tablets like the iPad or the Google Nexus tablet will run BumbleBee with little trouble. You can even create a shortcut on the home screen to jump directly to BumbleBee. Take the families online application with you when you do a tour. That way, you can refer to vital data like their preferred schedule and desired start date. Let parents apply online, with the iPad. Skip the paper application altogether. Have them fill out the application in BumbleBee right there in your director’s office. Record notes on the go. One of the most well-loved features about BumbleBee is the ability to take notes and associate them with the family record. When a family calls, you can easily record notes in the classroom or wherever you might be when you take the call. We know directors and administrators do not have the luxury of relaxing in your office to deal with problems. Review and approve pending enrollment applications with a few touches. What are you using iPad’s for in your child care center? 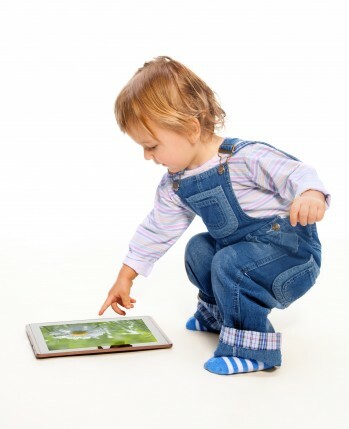 PS – If you are looking for great ways to use iPad’s and technology for early childhood education, head over to ecetech.net. An example of showing children playing without any risk to privacy. 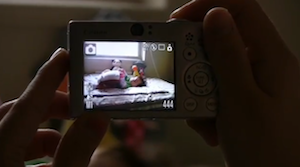 You can have better photos for your childcare center without hiring a pro or getting an expensive camera. Whether for your child care center website, newsletter, or art projects, great photos are the difference between projecting an hobby or professional image. Get permission – It goes without saying that the privacy of your families is your utmost concern. It’s a good idea to get permission from families before publicly sharing photos. However, taking a pictures of children’s shoes, a hand with a worm, or other neutral subjects might not require consent of parents. Also, don’t delete those blurry photos of kids running wild. 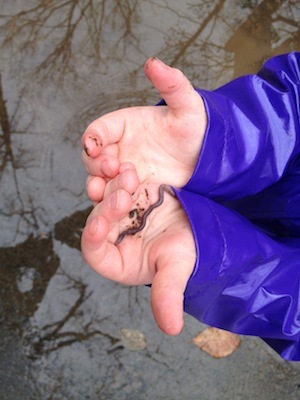 Some of those photos can be great and show active children. Turn off the fake shutter noise– This simple trick allows you to take candid, natural pictures without making people feel like they need to be super-models. Get low – Children look more natural when you get down low on their level. This will make them look more natrual and keep them from craning their neck. Use an iPhone – I (Jeff) am a dyed-in-the-wool Android phone user and even I have to admit the photos from almost every Android phone just do not compete with iPhones. Newer iPads also have the same camera (and are a great way to browse data in BumbleBee). Smartphones or tablets also make it convenient to quickly edit and post photos to web sites, facebook pages, etc. Avoid fake styles – Using some well-known smartphone apps like Instagram will put a haze over all of your photos, making the look ‘vintage’. Camera+ is only $2 and will significantly improve your iPhone/smartphone flexibility. Find your light – You already know this if you watch the reality show Top Model, but light will make or Taking photos in natural light is better. Generally, you want the light coming over the photographer’s shoulder.break your photos. Generally, you want your primary light (ideally a big window) source behind you and facing your subject (e.g., the child). Natural light is ideal, as flashes are intense (and cause red-eye), and florescent lighting is not very flattering. How does your eye respond to these two bee photos? The difference is subtle. To my eye, on the left bee, I am focusing on the bee and it’s details. On the right, I focus on “what is the bee doing?”. In other words, moving the bee to the upper third intersection gives the 2-D still image energy. This would be the same principle for taking pictures of children playing at your center. 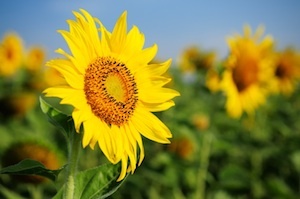 Use the rule of thirds – Most people instinctively compose a photo with the focal point (e.g. the person’s face) dead center in the frame. If you study professional photos you start to see the “rule of thirds.” Imagine horizontal and vertical lines dividing the frame into 3 even pieces each way. Putting your subject (or the eye of a person in a close-up) at one of these intersections will create more compelling photos. 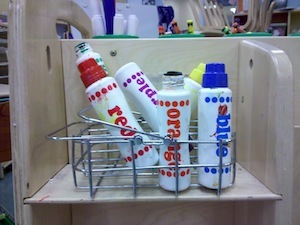 In this picture, the subject (i.e., the paint tubes) is up-close and takes up the entire frame. Sneaker zoom – If you have a huge hulking Digital SLR, feel free to zoom away. But if you are just using your point-and-shoot camera or cameraphone, you probably should not be zooming in on a shot. Better yet, walk toward your subject and make sure your zoom is at 1x. In Part II, we will walk through some more advanced techniques you can use to create even more authentic images for marketing and informing families about your child care center’s services. Let us know if you have your own beginner tips that you find useful for capturing photos at your center.